Celebrate World Music Day 2017 with events across the UK | What Hi-Fi? Today is World Music Day, so why not celebrate good music at one of the many free events across the UK. We've a lot to thank France for. From bands such as Daft Punk or the Gypsy Kings, to hi-fi manufacturers such as Focal (who we recently visited), their contribution to world music has been enormous. 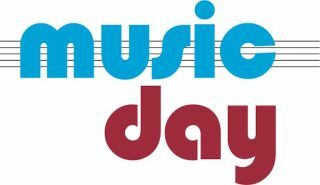 That also includes World Music Day, which is being held today. Known as the Fête de la Musique, the event began in 1982 as the brainchild of Maurice Fleuret, the French Director of Music and Dance under Minister of Culture Jack Lang, as a way to get more people out on the streets celebrating music. Since then the festival has gone world-wide, and is now celebrated in over 700 cities in 120 countries, including China, India, Australia, Brazil, USA, Japan and, of course, the UK. Amateur and professional musicians are encouraged to perform for free in the streets, under the slogan "Faites de la musique" ("make music"), a homophone of Fête de la Musique. In the UK, there are a number of events happening across the country - a full list can be found here. So why not go see a show, break out the guitar, or get yourself a good portable speaker and take your music out into the world - maybe with the What Hi-Fi? Playlist on Spotify, Tidal and now on Qobuz?